In the course of the documentary, Peter Saville (graphic designer for Factory Records) points out that the entire output of Joy Division amounts to exactly two albums and a couple of singles: “Everything else is just merchandising. Merchandising memory.” Even out of that slim legacy, the amount I’ve actually listened to is shamefully narrow. “Transmission” and “Love Will Tear Us Apart” have the high play-count you’d expect, while the rest of the catalogue sits on single-figures in my iTunes. Bernard Sumner mentions that listening back to the recording of Unknown Pleasures, he found it too dark to imagine listening to a whole album. The songs you know have an intensity and a perfection which seems too great to possibly be sustained over 45 minutes. With the ferociously melodic rythm section of Peter Hook and Stephen Morris in the foreground, the band sounds sleek and jagged like a knife; Ian Curtis’s vocals are commanding yet indistinct, words sinking into the almost-American moan of his voice. Even when the subject matter is personal and domestic (“Love Will Tear Us Apart”), the music is like a threat from nowhere. The addition of synths to the sound increases the feeling that there is something not quite organic – something haunted – about them. The success of the documentary is in fixing Joy Division exactly in the grimy material culture of 1970s Manchester. In the earlier live footage, Curtis’s vocals have clear Mancunian inflection, and again and again interviewees stress that they were “lads”. Working class, with tightly restricted career expectations (if you grew up in Salford, you were expected to work in the textiles factories, Morris points out), hopeless attitudes to women (in the extras, their manager’s widow awkwardly circumlocutes a whole mess of infidelity and thoughtlessness towards the wives and girlfriends who held down the day jobs while the band got established, and Tony Wilson speaks of Gilbert’s addition to the New Order line-up as solving the “misogyny” of Joy Division), and typical reticence in friendships (“But we were lads”, says Sumner, summing up everyone’s retrospective shock that no-one intervened as Curtis’s struggle with epilepsy and depression grew increasingly severe) – the impression is of band which was making something much bigger than themselves, and who weren’t completely aware of the music’s enormity. But if the individual members come across as products of their home, so does the music. 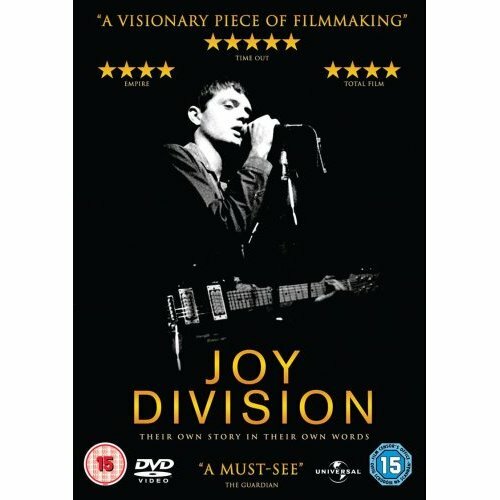 Matched with footage of Manchester in the 1970s (“I don’t think I saw a tree til I was nine”, says Sumner), the bleakness at which Joy Division railed seems not so much existential as very, very material. Poverty, dirt, grim concrete blocks of social housing, bombed-out holes from WWII – all of this feels intensely present in Joy Division’s precise, muscular music. 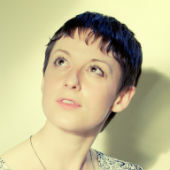 And the sound of the old city became the foundation of a new, vibrant Manchester – according to Wilson, anyway, whose thesis that Joy Division’s fusion of punk and electronic music was the start of Manchester’s dance culture stands as the conclusion to the film. Up next: more post-punk genius, when I finally get round to blogging the Westwood exhibition.